Yes, it’s true what they say… It’s better to give than to receive. But what if there was a way to both give AND receive? Charitable gift annuities make this possible for you and your family. Charitable gift annuities are a way to support your favorite Kingdom causes AND receive income for life. You establish a charitable gift annuity by gifting cash, stock or other appreciated assets in support of the ministries close to your heart. In exchange, you’ll receive an immediate tax deduction and then fixed payments for life for you and your loved ones. Support your favorite Kingdom causes while caring for the needs of you and your family. Receive an immediate tax deduction for a portion of your gift, at the time your gift is made. Secure fixed payments for life to you and/or a loved one. How much will my income be? It depends entirely on your age. The older you are when you begin a gift annuity, the higher your payment will be. For example, a single person who is 70-years-old receives a payment rate of 5.6%. The rate for a single 80-year-old is 7.3%. Barnabas Foundation follows the recommended rates set by the American Council on Gift Annuities. You can use these planned giving calculators to estimate income projections or tax deductions. Will the amount of my payment ever change? No. Once you initiate a gift annuity, your payment amount is established for life, regardless of what happens to the economy or stock market. Choose to begin your payments as early as this year, or establish a “deferred gift annuity” to start your payments at a flexible future retirement date when you know you’ll need steady income. Will a gift annuity work for married couples? Yes! In fact, many gift annuities are “two-life” contracts, designed to make payments for the lives of both a husband and a wife. How secure is a gift annuity? 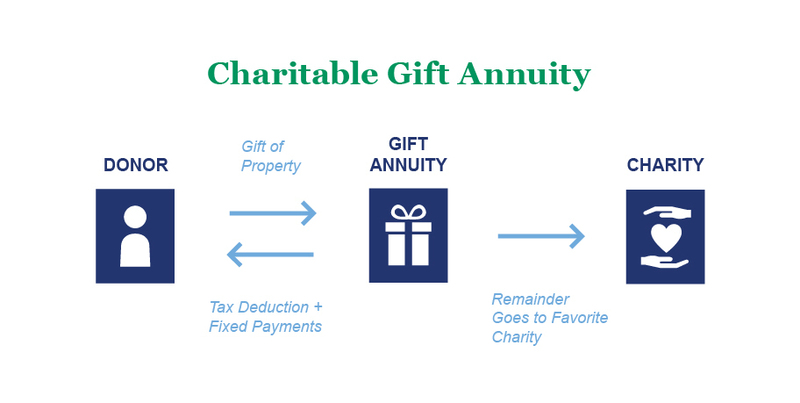 A charitable gift annuity is as secure as the organization that issues it. When you establish a gift annuity through Barnabas Foundation, you can have confidence knowing that your annuity is administered by – and backed by the assets of – a trusted, well-established organization. Barnabas Foundation has been providing expert planned giving support to thousands of families and more than 200 Kingdom-building ministries since 1976. The entire amount you contribute will be held in a gift annuity reserve fund in order to make your annuity payments.